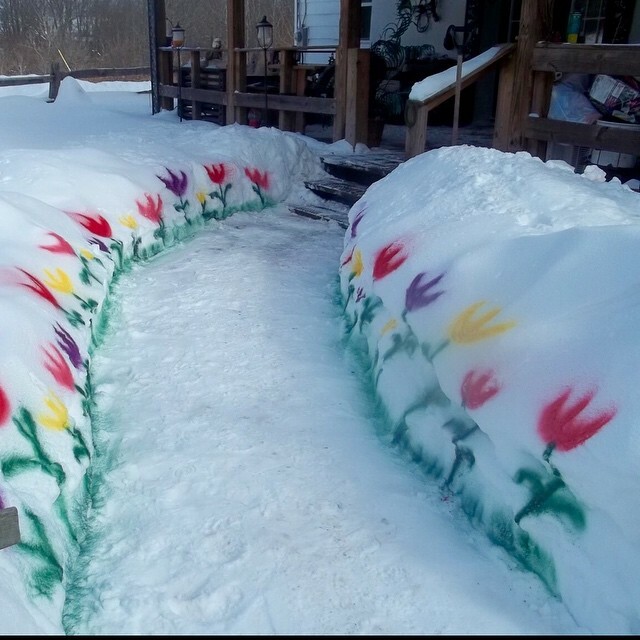 Spring is typically the time when the natural world wakes up from a long period of resting and dreaming, and begins to manifest the new life that have been put in place during the fall and winter. As part of the natural world, human animals do this as well. I am always intensely curious, eager to see what we have called forth from the depths of our imagination. Energetically we have toyed with a lot of possibilities on a spiritual level during the past six months and now we get to see what the bulk of our final selections will be for this year, We get to witness the manifestation of energy we have agreed to as individuals and in our communities. At our Winter Solstice Worship Service shortly after the 2016 presidential election we talked about the Wintering of America, how to “weather” (pun intended) our new cultural environment in the USA, as our world turned topsy-turvy almost overnight. I talked about the perfect pictures that we all have of the United States, energetic pieces of programming that have us stuck on an image of our country that is erroneous, and that keeps us from actually moving towards the ideals to which we aspire. The campaign slogan “America Great Again” is an example of an image of national perfection that is not really warranted historically speaking; and thinking of ourselves that way is holding us back contemporaneously speaking. Perfect pictures always eventually crash under their own weight. I talked about how we need to rethink our social, political, religious, economic and other systems as they are at the very least transformed, and in the worse case scenario, altogether demolished,. 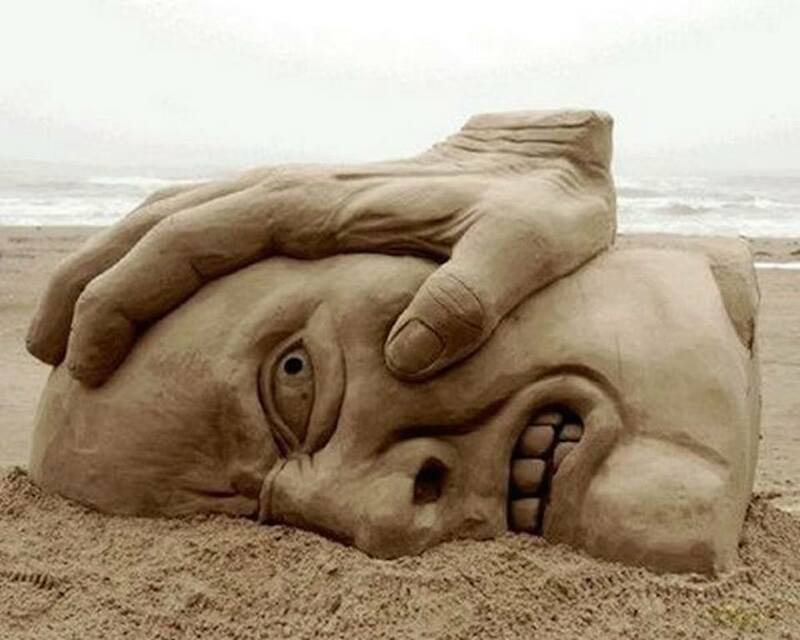 We need to rebuild our American way of life on something other than a foundation of sand. For many or most people in the United States and our fellow citizens on Planet Earth, as well as the other species with which we inhabit this awesome planet, it’s been a very chaotic time since the election; and a long-hard winter these last few months. Even those of us fortunate enough to live in the Pacific Northwestern part of the USA, where we have been blessed with a relatively calm and livable environment free or war, famine, drought, tornadoes and the like, have been awash in the same vast ocean of fear, despair, and confusion as everywhere in America and beyond. There is more chaos and fear etc. to come but Spring is here, the time of renewal. 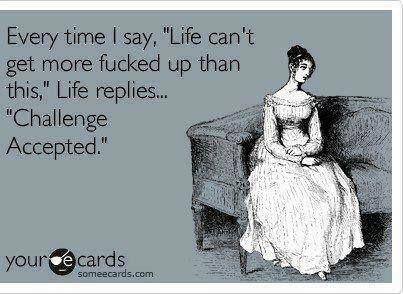 Surprisingly, I find myself increasingly hopeful. Oscar Wilde was once criticized for being a dreamer. Oscar Wilde, of course, was the incredibly brilliant and spiritual Irish poet and playwright that at the height of his fame in the mid 1800s was persecuted and jailed for his sexuality. Many people have dreams of flying, a metaphor for the yearning of the soul to experience itself working through the physical world while maintaining its spiritual nature. “I Dreamed I Could Fly” by Carlos Almara, posted in accordance with fair use principles. To his critics he replied: “Yes, I am a dreamer, and a dreamer is one who can only find his way by moonlight; and his punishment is that he sees the dawn before the rest of the world does.” To Oscar Wilde I would like to say, “yes, but your reward is that you see the dawn before the rest of the world does.” And to the people in this room, those of you who are in touch enough with spirit to do your own dreaming, I say that we humans are in the fight of our lives for our very lives on Planet Earth. This is a fight that we needed to undergo. And now we are in the midst of it. And it’s springtime! 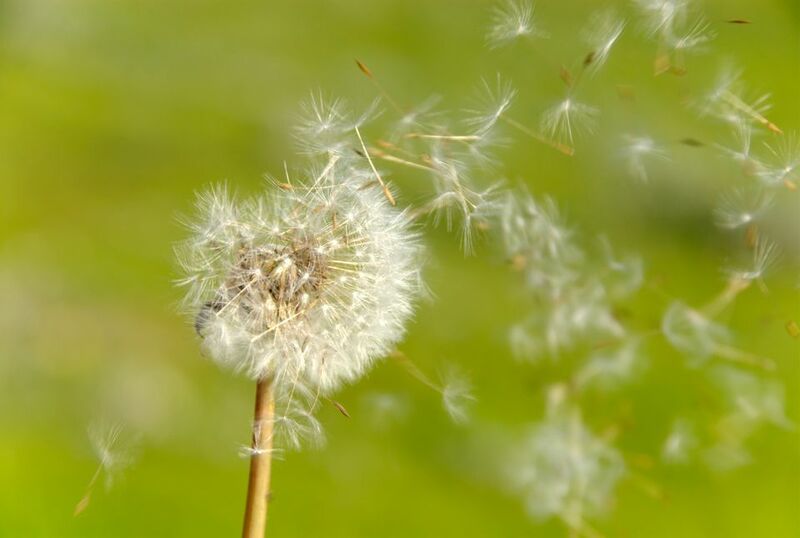 When a dandelion flower is at its end, the seeds of the next generation of life are widely disbursed in search of fertile new territory. like the seeds of the head of a fully opened dandelion. And there is Grace to that, even though one way to look at it is that everywhere around us things are dying. I see this in the news every day and every night. Did you actually think that the national conversation finally becoming obsessed with AR 15s and guns in the schools after years of mass murders, did you think this was really just about gun control? When you hear the politicians talk about the “opioid crisis,” and the president say that the way to solve it is to bring on the death penalty for drug dealers, did you really think this was only about fentanyl and other pain killers? Pain is certainly not the only way for humans to make changes happen, but it tends to be the go-to vehicle for many or most who are otherwise unable or unwilling to change their relationship to the physical dimensions. What I hear is a society coming to terms with the fact that it is in a death spiral, a cycle of destruction that could bring a “premature” ending, particularly for its youngest members. And I hear a country trying to figure out whether or not to face its pain about what has been created, which it has to do to arrest that downward spiral. I think that 2018 is the year in the “New World” that we have been trying to create since 1776. This is the year where it will become so glaringly obvious to WethePeople that we kind of missed our original mark. For many spirit in bodies for which there is too much cognitive dissonance going on between perfect pictures and reality, there will be too much suffering. And consequently, some may choose to go elsewhere. For those who can accept the “new normal,” who are willing to face their pain and make the necessary changes internally and externally to experience a vastly different way of life, things will be OK if very different. It’s not a question of who deserves life. It’s a question of who chooses life, eternal life, not life based on an illusion lost to materialism. And this is where I become hopeful. Until recently, pretty much all I saw were the signs of the destruction side of the creative/destructive dichotomy. But recently, just in last few weeks, as the daffodils and crocuses have been peaking up through the ground of our gardens, there has been a small but intensifying pattern of what I like to think of as the True American Spirit showing up in public places. Every group of people have their own unique energy, sometimes labeled as “culture” or “worldview.” This is true of countries. 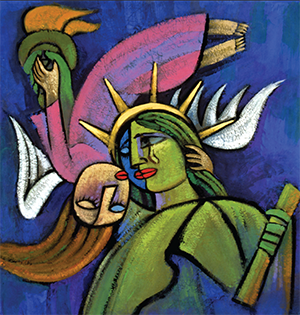 Here the Christian artist He Qi depicts the essential energy of the United States as Freedom and Peace. But Freedom struggles with grief, perhaps at not yet being able to fulfill its destiny. Posted in accordance with fair use principles. It appears that large numbers of people are waking up, standing up, speaking up, and making choices for connection to the divine through each other. I’m not talking here about the obvious political protests and huge increase of lawsuits in opposition to congressional and state legislation. I’m not even talking about individual acts of courage. There have always been individuals willing to devote all of themselves to the greater good. I’m talking about the quiet stuff that is frequently missed, the cultural shifts, changes in the way we as a nation full of diverse individuals think about our world. 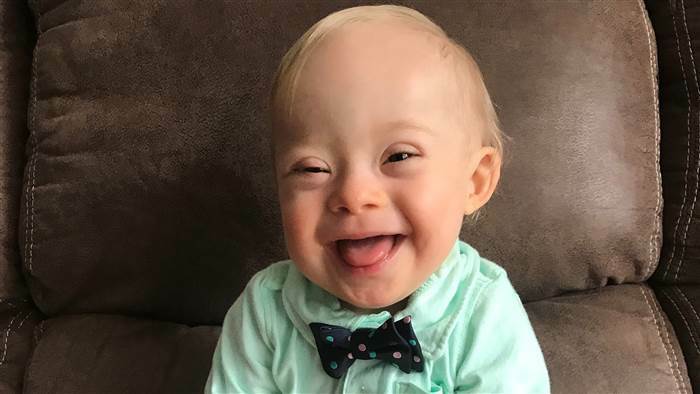 With his obvious infectious joy, Lucas is inspiring thousands to rethink their prejudice against spirit born into different or physically challenged bodies. and Apple introducing emojis to which people with disabilities can relate. 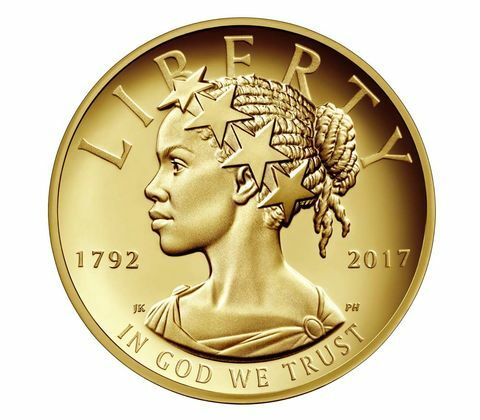 Then there is Black Lightening taking Hollywood by storm, and the U.S. Mint issuing a 100 dollar coin with the image of a Black Lady Liberty stamped on it. I’m talking about scientists as their vision expands with the rest of us “discovering” new species of animals that have been there all along but were never previously noticed, like the flying squirrel recently found at Mt Rainier Park; and the US Postal Service passing on a growing understanding of life with its new stamp series on bioluminescent animals as we begin to understand what we’ve done to our oceans. Most of all I’m talking about a validation of our real individual and collective stories. Rather than disseminating fear-based conspiracy crap like denying the holocaust, or reinventing history to pretend that slavery is a good thing, an increasing number of people are standing up for authentic stories. 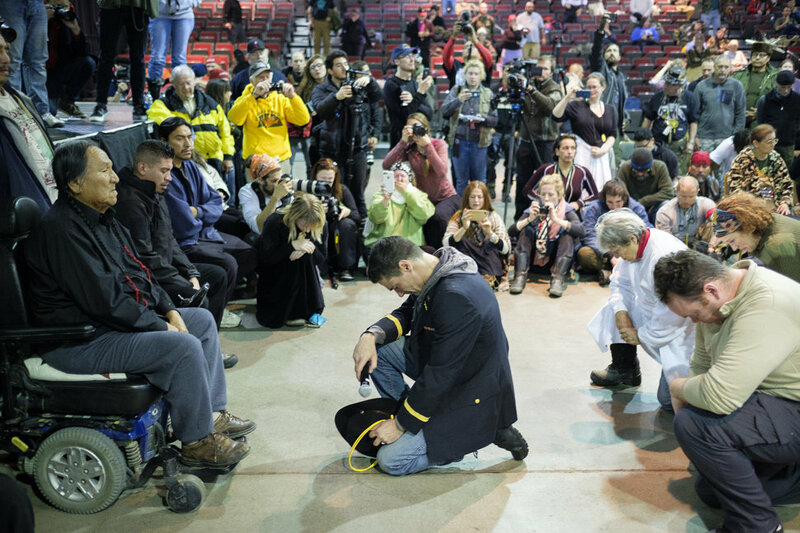 Lt. Wesley Clark Jr. and other veterans kneel in front of Leonard Crow Dog on the Standing Rock Sioux Reservation on Dec. 5, 2016. Vets asked for and received forgiveness from Lakota and Sioux elders for crimes committed against indigenous peoples by the US military. Words were coupled with actions as nearly 4,000 veterans helped protect Dakota Access pipeline protesters. In less dramatic ways, these times of humility, healing, and honoring spirit are being played out increasingly around the world. Granted, some are acknowledging past wrongdoings because with the increasing amount of light in the world, it’s harder to get away with the lies any more. But also–an increasing tide is moving us towards the Truth. 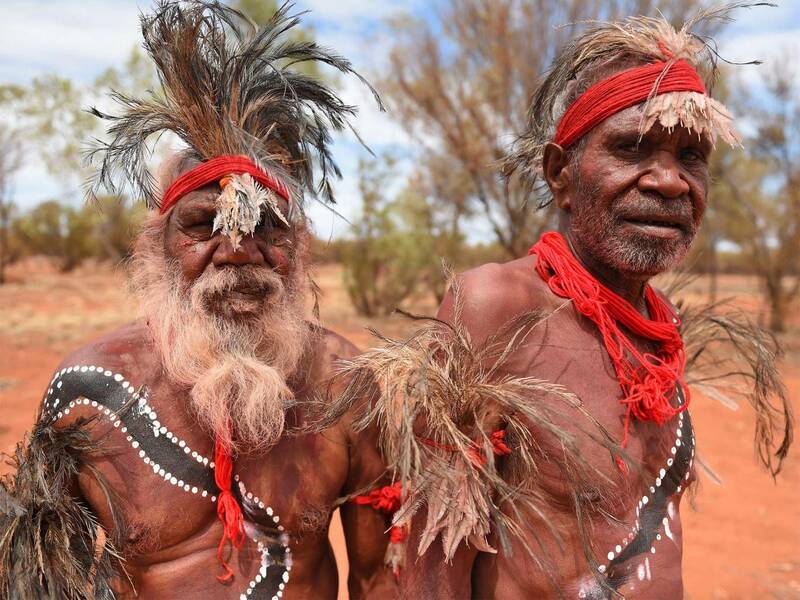 Using DNA, scientists have recently discovered that these Aboriginal men from Australia belong to a tribe of people who have maintained the oldest continuous human habitat on Earth, going back some 50,000 years to the Old Stone Age. 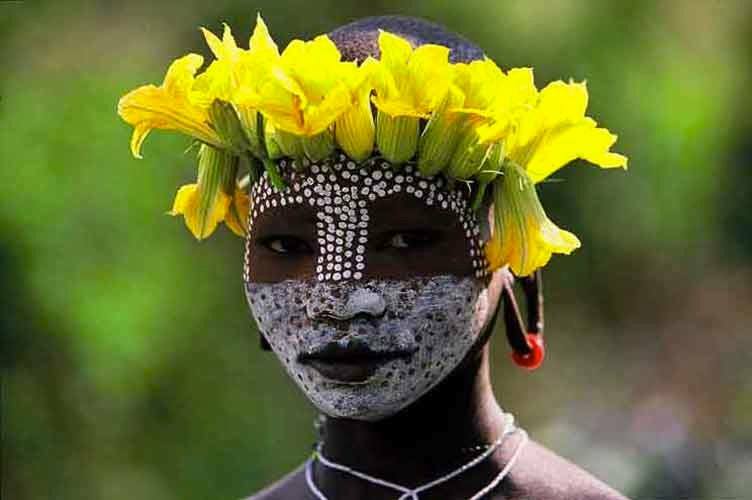 Rather than being seen as a “rather insignificant” marginalized people of little interest, they now will likely gain significant social status as original human ancestors, rock stars of modern anthropology. When National Geographic apologized for “decades of racist coverage” I don’t believe it was because they had to, as much as because it is right to take ownership of past wrongdoings so we can learn from them and transcend those limited perspectives. Granted their admission may ultimately improve sales but still, no one forced them to try to gain more legitimacy that particular way. When Israeli televangelist Benny Hinn confessed last month that he has come to understand that his belief in the “the prosperity gospel” was an extreme interpretation of scripture that was not “God’s work,” this was a watershed moment for his thousands of followers. Yes, it remains to be seen what he is going to do with the reported 42 million dollars he has amassed by believing what he wanted to believe but at least he has admitted his transgression and stopped speaking for God in an area where clearly his ego was calling the shots. 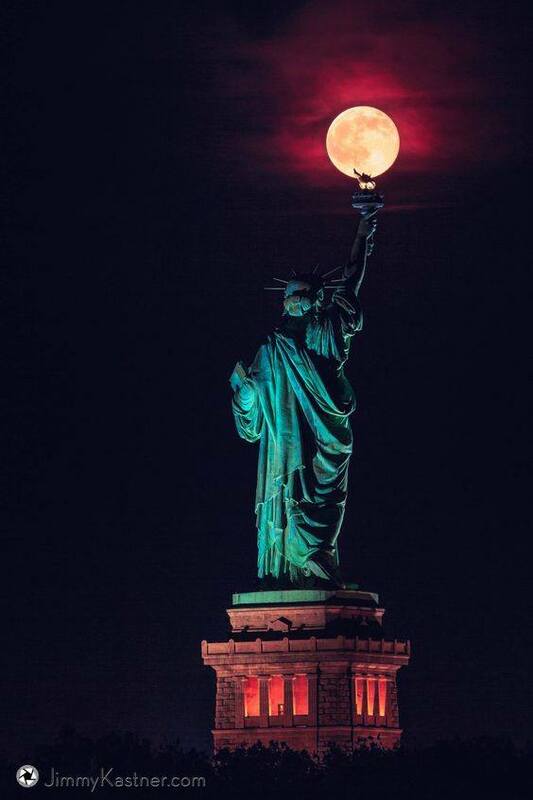 Unfortunately, I believe we are far from done with the process of destruction for our way of life in the U.S. We have had too many decades of picture pictures that we now have to resolve, and a population that still is highly resistant to doing the hard work that it takes to change one’s worldview. Perfection belongs only to God. 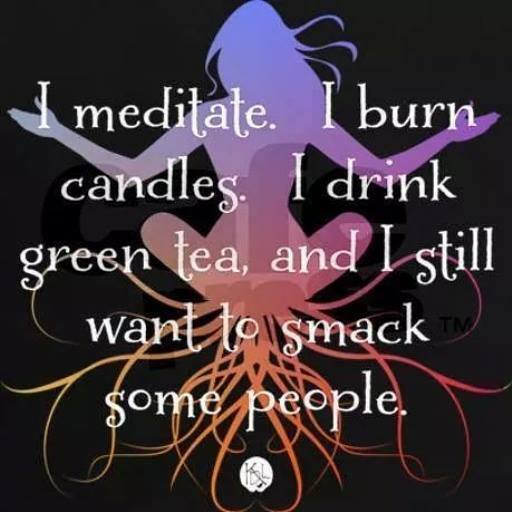 For the rest of us, harmony comes only after a true dedication to our spiritual goals. . .while still acknowledging and gaining seniority over our human animal attributes. 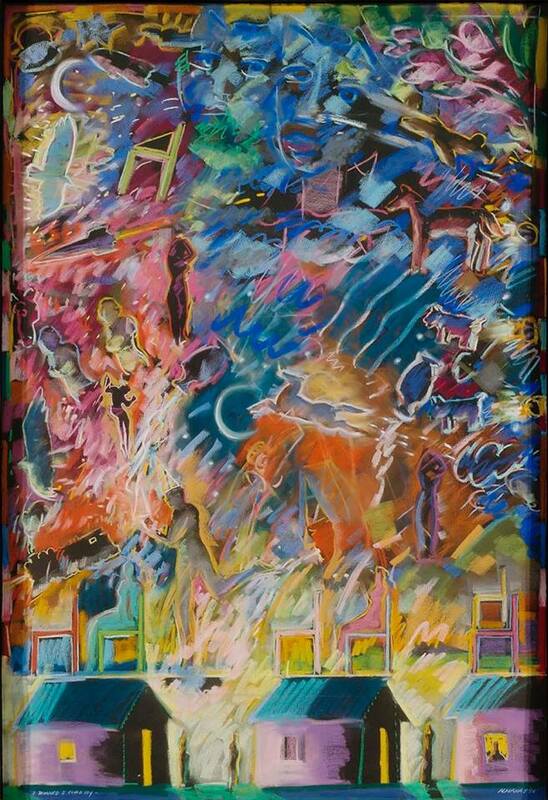 Frankly, the worst is probably yet to come. . .as the consequences of our recent choices in regards to the social fabric and particularly the physical environment become manifest. The worst may yet come. But despite it all, I am hopeful. As many of you know, for 15 years at the direction of the universe I have been closely following the issue of climate change. I’ve heard a lot of key scientists and the like, use the phrase “tipping point” to describe the point in time in which human destruction would bring the Earth to the point where it could not sustain life. 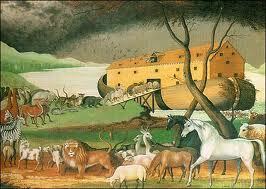 God is not going to let us destroy the Earth. It will let us destroy each other, and in doing so, ourselves if we need that learning experience. I’m pretty sure the planet’s destiny is to be a Paradise of Love and Life. If human animals cannot buy into the master plan, then we are free to go the way of the dinosaur, making room for another species to be given dominion to try their hand at creating through matter in an environment reflective of God’s majestic life forms. What I’ve always been aware of though, as people talk about “tipping point”– when it will occur, if it’s occurred, that sort of thing–is that the dialogue rarely takes God into consideration. It is no accident that one of the most common words for the divine is the Creator. God is creative beyond our wildest dreams, and as we are made in its image. so too are we. 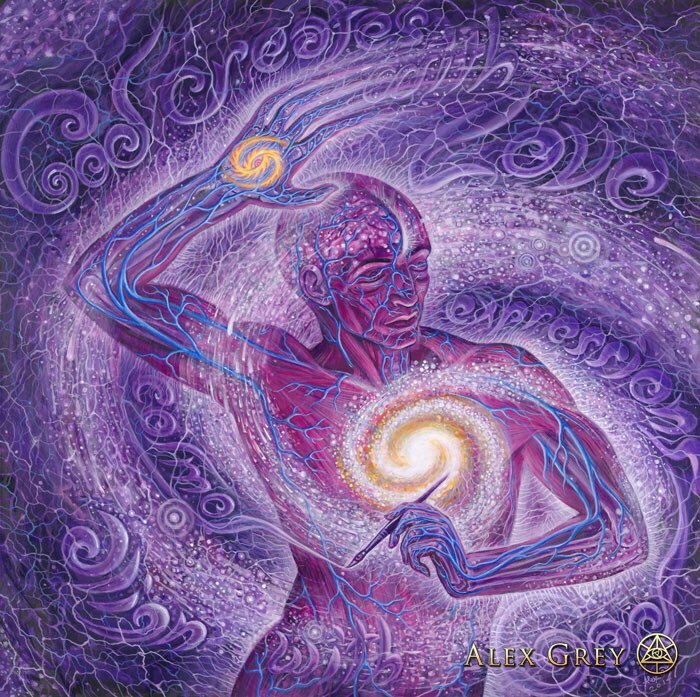 “God the Creative Spirit” by Alex Grey, posted in accordance with fair use principles. Human beings are co creating with the divine in this world. The Supreme Being puts into motion the greater context, and gives us just the one rule about free will, and a whole lot of pointers, and we fill in the details. In our fear of our physical mortality and seeking our own immortality, we can fill in a lot of those details with stupid adolescent-level death-dying stunts. Some or many of us may not physically survive the risks we have been taking. . .but God is still our creative partner in this venture. There is still this little thing called miracles, and there are still means beyond what our puny human brains can comprehend, for the Grace of the Almighty to save us from our stupid selves. Think 2018 as a sort of energetic “tipping point’ of sorts. This is the calendar year in which our choices as human beings, we who have the God-given will to freely choose to harness our energy for the Greater Good under the direction of the Supreme Being. . .or not, will make the choice to do so,or turn the tide against our kind continuing to have this gorgeous planet as our playground. 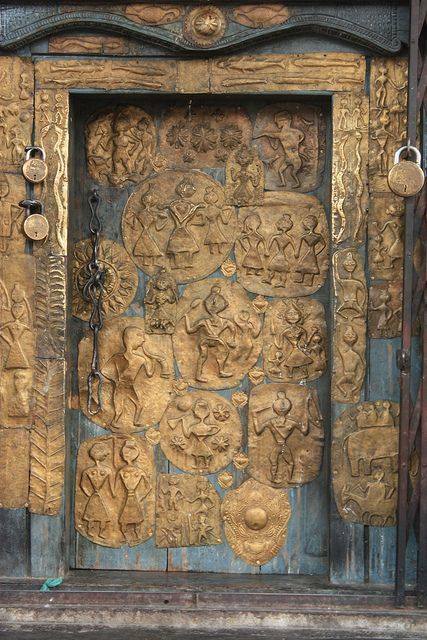 Door of the Shiva Temple at Lakhamandal, Uttarakhand, India. Shiva in the Hindi pantheon is the God of Death and Transformation. 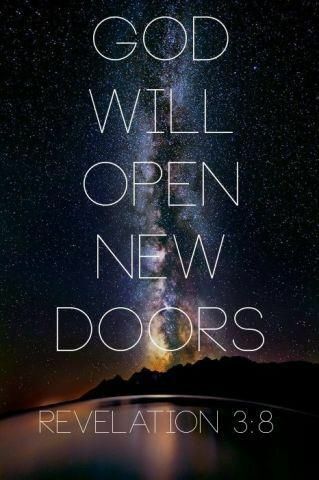 Can we allow ourselves to walk through this door to our destiny? Vast numbers of spirit are just waiting for humans to call them to help with our current Earthly challenges. Because of free will, they cannot be activated without our explicit thoughts and/or prayers. 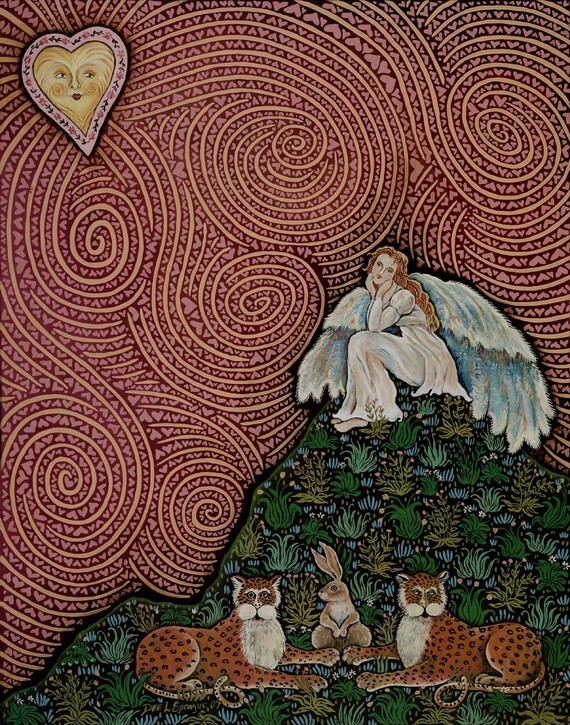 Image is “Angel Thinking” by Dee L. Sprague, posted in accordance with fair use principles. The good news is that the forces of the heavens have been mobilized to help us in every way they can, to make the choices that will lead us, one way or the other, to our Creator. We can do this. I know we can. We can make America Great, for the first time. 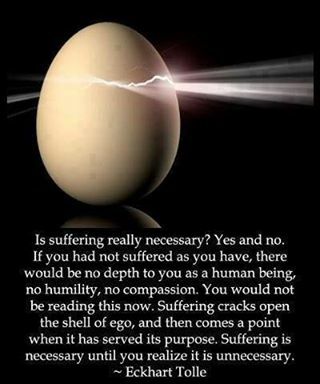 We can put spirit in charge and restrain and retrain ego. We can give up our addiction to greed and power. Individually and collectively we can join the All-That-Is in whatever way it has in Mind. Let’s bring forth the American Spirit! Let’s Make America Great, for the First Time!